This matchup between two of Europe’s best organizations featured some great mid lane play. Fnatic took down G2 Esports earlier today, pushing the organization closer to the top of the EU LCS standings. G2 dominated the early game with several aggressive ganks in every lane. The team played better than Fnatic, pressuring them into fights so they could pick up a few easy kills. As the mid game approached, G2 started to group up and secure vision control from Fnatic. Instead of grouping up to meet G2, however, Fnatic scattered its team to secure objectives and stay in the game for as long as possible. After bringing themselves within striking distance of G2’s gold lead, the game began to stall as both teams traded objectives and kills evenly. The battle between G2 Esports and Fnatic was decided in the mid lane, however, as Luka “Perkz” Perkovi? of G2 and Rasmus “Caps” Winther of Fnatic created huge plays for both teams. In the early stages of the game, Perkz’s Zoe was unstoppable, picking off champions with ease. As for Caps, a series of amazing plays kept his team in the running for a win. Caps even took down an Elder Drake by himself at the 30-minute mark, which gave his team a huge power boost and allowed Fnatic to get the Baron shortly after. This Baron helped Fnatic break into G2’s base, and soon after, they picked up a resounding victory. G2’s loss also means that they currently sit in eighth place in the EU LCS, tied with H2K at 1-3. 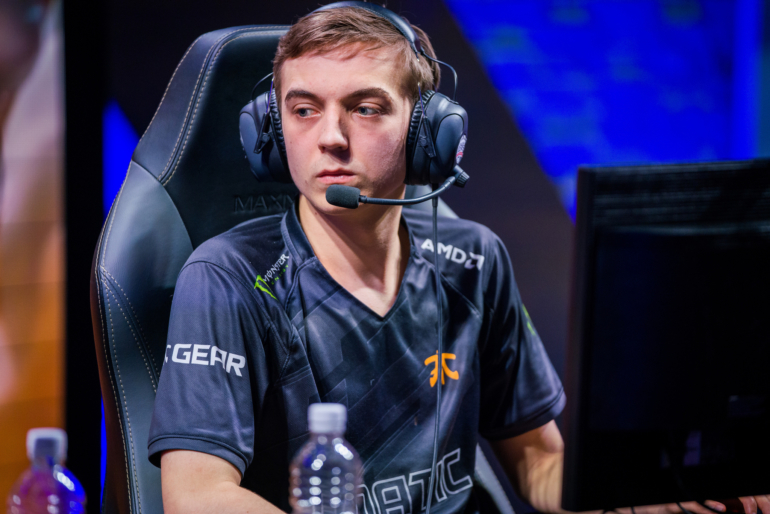 Fnatic will face off against Misfits next on Feb. 2, and they’ll be looking for a win to springboard their EU LCS title hopes. G2, on the other hand, face off against a resurgent Splyce on the same day, as the organization looks to put themselves back in playoff contention.